The big day has come: our seaweed farm, designed and made at Selstad AS, has arrived at the pier at Stokksund. 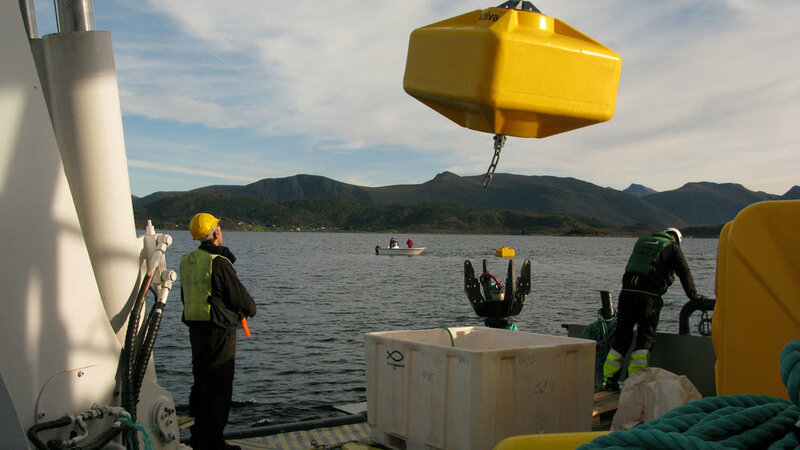 For the ones of us who are used to research scale operations, the dimensions of buoys, anchors, coils of ropes, bolts and equipment are rather stunning – however, ocean conditions are rough around here, and we want our farm to be installed safely. 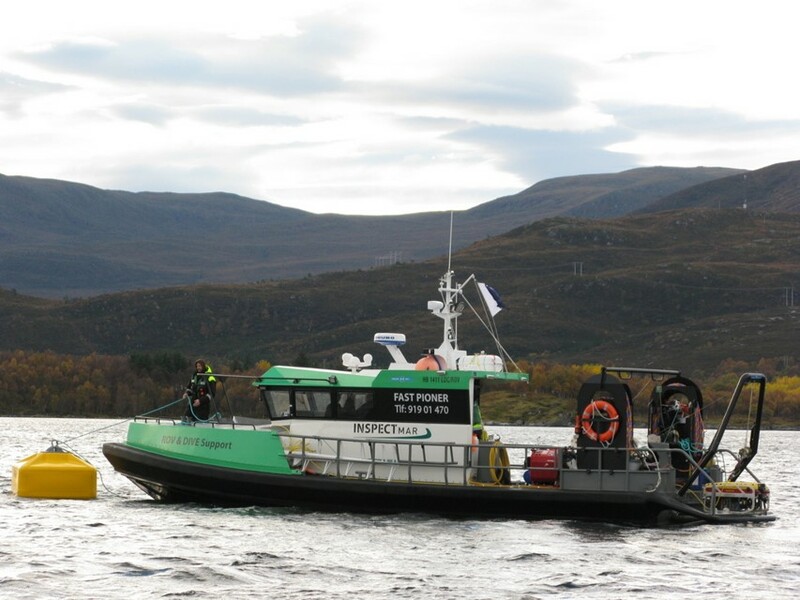 During the coming week, FSV, a marine service operations company works at our Skarveskjæret site with several boats and a full crew to deploy our 2ha pilot farm. Two large floating frames (90*90m) are fixed to the seafloor by using both anchors (at the deeper, soft bottom points) and bolts (at the shallower points, where divers can drill into the rocky seafloor). Before the floating rope-frame is deployed, we attach small rope loops which will be used to connect the horizontal cultivation ropes later on. Both at sea and on land, many hands do many small and big jobs until the entire structure is in place. 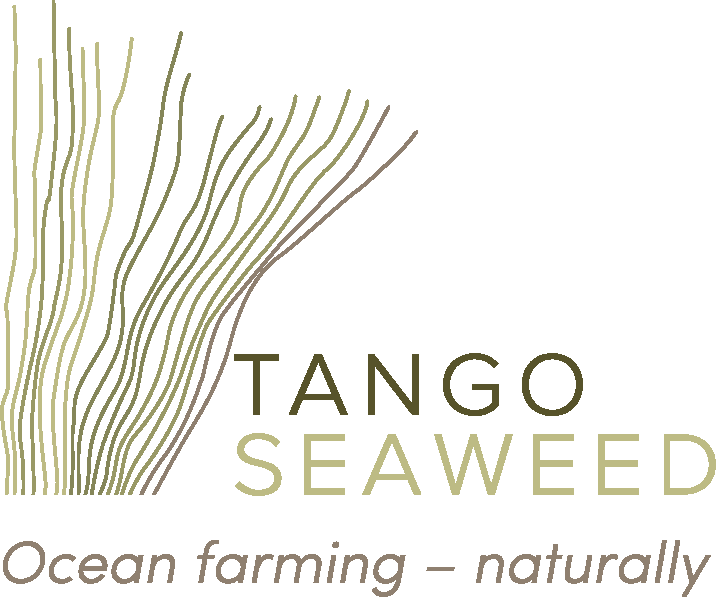 The excitement and joy of seeing our seaweed farm coming together is enormous…what an adventure! 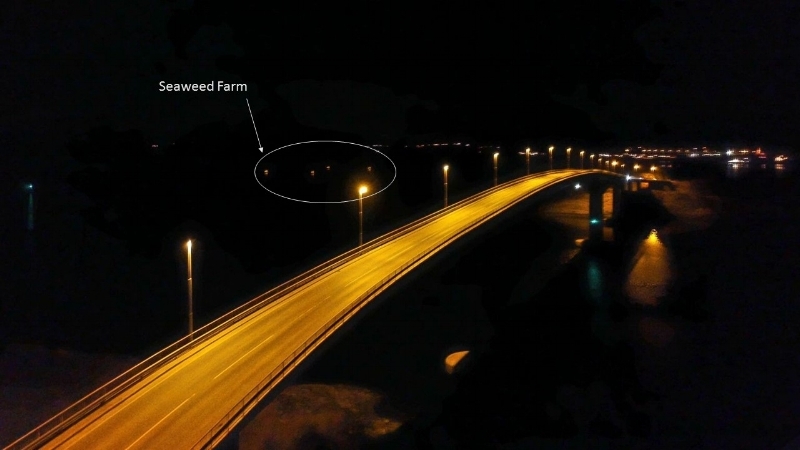 The farm is well visible from Herøy bridge – also at night, when the four corner buoy lights are flashing. Just after a few days, we experience what our Sunnmøre weather can do – it is blowing heavily from the west, and we lose some of the buoys, which, thankfully we find again on a nearby beach. This is one of several occasions to come, where we need to make adjustments, use other materials for connecting ropes to floats, tightening the frame, adding weights, etc. But this is part of a long learning process towards this business adventure. The skills that our partners and helpers here have in working at sea and with the ocean never stops to amaze… and it seems we have the best of them in our team.